Brahma Kund at Rajgir in Nalanda, Bihar, is an important spiritual center in Hindu religion. A holy pond here named Brahma Kund gains spiritual significance especially during Mal Maas or Adhik Masa – the extra month in Hindu lunar calendar. This extra month is known as Purushottam Maas and is dedicated Lord Vishnu. Legend has it Raja Vasu, a mind born son of Lord Brahma, performed a maha yajna (great sacrifice here). All gods and goddess in Hindu pantheon were present at the yajna. All the saints, holy persons, demigods and demons too participated in the penance. There was only a single pond and it was impossible for all the divine beings to take a holy dip. 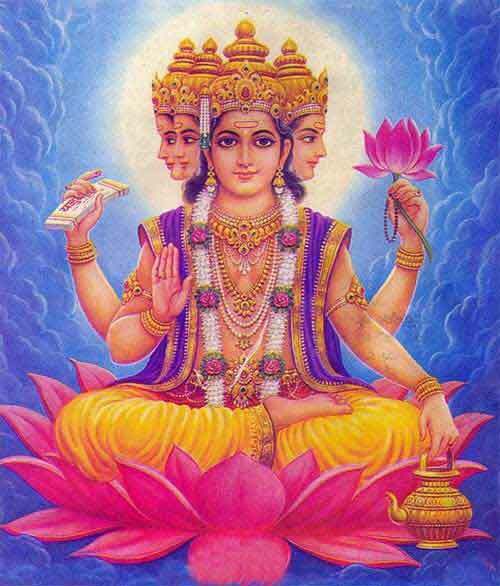 To solve the problem Brahma created 22 ponds and 54 springs to fill the ponds. According to the Ramayan, Vasu was the fourth mind born son of Brahma and he established the city by the name of Vasumati here. The pond was created by Lord Brahma. All 33 million gods and goddesses in Hindu religion had taken holy dip in the pond here. It is believed that if person worships Lord Vishnu in Shaligram form here will have desires fulfilled and will achieve moksha. As per Padma Purana and Mahabharata (Vana Parva), taking holy dip frees a person of the deadliest sin. According to Vayu Purana, bathing in the Brahma kund during Mal Maas is equal to bathing in Ganga for a year. The most important kund at Rajgir is the Brahma Kund. It is a hot pond and the water comes out naturally and spontaneously. The other main ponds or kunds of Rajgir are dedicated to seven sages – Bharadwaj, Vishwamitra, Jamdagni, Parashuram, Vasishta, Kaushika and Atri. In the western corner of the wall of Brahma Kund there are murtis of Brahma and Lakshmi. Rituals are performed in front of the these two murtis. Saptdhara is located at the eastern gate of the Brahma Kund. North to the Brahma Kund is the temple of Lakshminarayan. East of Brahma Kund is Anant Kund and it is dedicated to Ananta. A special kund is exclusively dedicated to women to take holy dip and it is known as Vyas Kund. The walls of this pond have murtis of Shiva and Lakshminarayan. There is a popular belief that all 33 million gods and goddesses in Hindu pantheon resides at Rajgir during Mal Maas or Adhik Masa. It is auspicious to perform pujas, prayers, yajna and holy bath during the month. When there is an extra month Hindu lunar calendar (which happens once in 2.5 years), a mela is organized in the town. Hindus from around the world arrive here to offer prayers. Saints and sadhus, who rarely appear among public, visits the mela and blesses people.